A Bonding Agency Worth Recommending. Established 1949. Ideally, you should be able to trust your employees. However, there is a sad story of today - staff members are not honest and often turn to abuse. As much as all workers hate this fact, every year in the USA they are constantly draining billions from their workplaces. Dishonesty Bonds and Business Service Bonds are both necessary and sad commentaries on today’s workplace ethics. The employers realize that their staff members cannot be fully trusted anymore. That’s why recruiting people with only fair principles is so important, as there would be a greater chance for the company to avoid severe dishonesty problems. To act so, business executives must introduce a strict-no-theft policy carried through discipline and dismissal, e.g. telling the whole staff – honesty should be the only admissible working condition here. We are glad to inform you that both bonds are relatively inexpensive and simple to obtain. Their coverage amounts usually vary within $5,000 and $100,000, or sometimes over, depending on your business capacity and current situation. 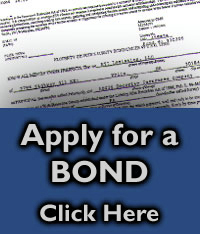 Offered bond terms may range within 1-3 years. In most cases, however, these bonds will not be paid off, till the employee involved in the trial is prosecuted. Thus, an arrest and/or conviction should be the only process to prove the theft episode has actually taken place. As already mentioned, there are two various surety bonds to resist each type of basic employee violations in their best way. Note, that it may become confusing, as sometimes you may see "fidelity bonds" referring to both bonds. Below we are going to get a summary and overview for each. Dishonesty Bonds are usually obtained by business owners to protect against financial damage, caused by staff embezzlement or thievery. For instance, your workers are suspected of ripping off your business by stealing equipment, accessories, your company’s products, embezzle cash, forge checks, or go for computer fraud. Should it be committed by a bookkeeper or your most trusted worker, such theft occurrences are unavoidable. And they will cripple your business, sooner or later. Commonly, any enterprise where an accountant, bookkeeper, or financial director oversees the books or cut checks should be wise enough to obtain a Dishonesty Bond for that financial employee. Or consider a shop owner with just several workers. Imagine that they are constantly ringing up sales and using the cash register, so their chief should be wise to have all those potential abusers bonded as well. However, in case some security precautions have been already implemented by executive managers, and the employee keeps determined and dishonest anyway, almost nothing short of discharge will put his criminal actions to an end. Without dishonesty insurance, a small business could even be smashed with a single large theft occurrence. And without enough funds to compensate the stolen resources, such companies may be even dragged down. Related enterprises of just minor capacity are the most vulnerable here, as they usually don’t have enough resources available to apply for expensive theft prevention security programs, which are often used by large corporations. That’s why most businesses, regardless of their capacity, have already come to a well-formed decision and got themselves protected by obtaining Dishonesty Bond insurance. Dishonesty and Business Service Bonds may have different amounts of coverage, which depend on the business scale and the category of risk. A company of minor capacity engaging a low-quantity staff usually needs quite low level of coverage, while those of more considerable scale will need a greater liability coverage to resist the myriads of threads and preconditions, which may enable their employees to go for dishonest or illegal behavior. The following are covered: all current or former partners, staff members (including directors, trustees, seasonal and temporary employees or volunteers). Exclusions to the liability coverage: loss statement, a restatement of profit, government actions, vandalism, loss of potential income. Purchasing Business Service Bonds enables your business with a set of different advantages, not just sole protection against employed personnel’s theft (like Dishonesty bonds). These bonds provide extra benefits by reassuring the customers that the executives have vetted their employees, and got financial protection in case the staff members perform misbehavior. Related occurrences commonly take place when you send your personnel out to customers’ locations like office buildings, private homes, hospitals or college campuses. Having their tasks completed, engaged staff workers may just leave the location taking away your customers’ laptops, jewelry or cash, cause damage to property, or go as far as committing assault and other heavy violations. Business Service Bonds are the most essential for any in-home services, such as nursing, home sitting, pet walking, etc. And this type of bonds is the most fitting insurance practice for any company that has workers engaged at customers` locales. Other typical businesses where most of the duties are done on-site may also refer to different janitorial services, gardening, pest exterminating, pool cleaning, security, carpet cleaning, painters, locksmith, moving, plumbing services and appliance repair works. Do not put your business at risk! Remember, in real life it’s impossible to prevent all these twisted episodes from occurring. That’s why Business Service Bonds for property owners by Bernard Fleischer & Sons, Inc. website BFBond.com will become the ultimate solution to assure the business against deliberate acts of dishonesty and any theft episodes (regarding information, property, money, and other assets). Also, the business owner obtaining the bond has the option to be included in the coverage. At Bernard Fleischer & Sons, we use our knowledge and experience to conduct the insurance survey for your company. Our objective is to make sure your business is arranged to deal with theft hazards and other practicable staff occurrences. All rates are specified in the application form, with those up to $100,000 commonly considered as pre-approved by default. Under exceptional circumstances, our underwriters may get the Bond Application rejected. Should it happen, you will be refunded for your bond payment within a business day. Apply online or Contact us at 1-800-921-1008 to learn more!